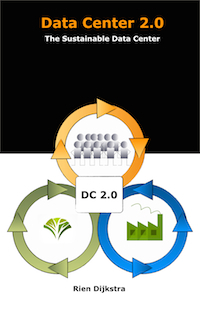 Data Center 2.0 – The Sustainable Data Center, Now Available! 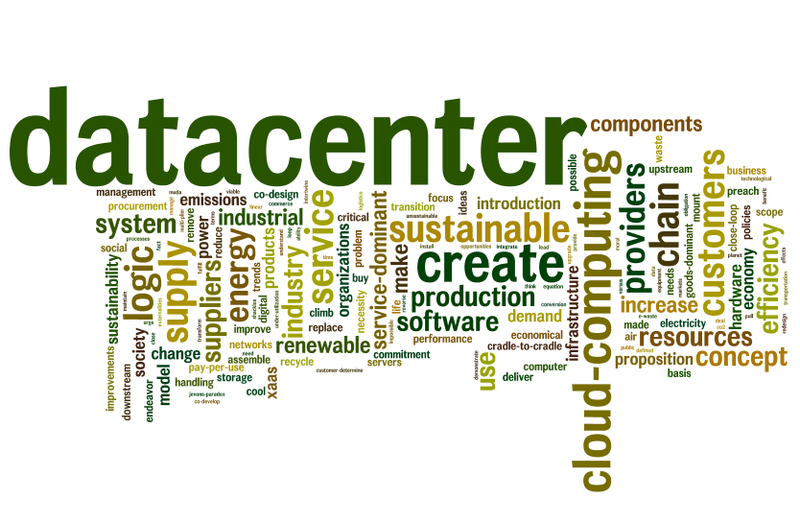 Data Center 2.0 – The Sustainable Data Center is now available. The book is showing up on the websites of Amazon and will soon starts to pop up on websites of other E-tailers’ . Data Center 2.0 – The Sustainable Data Center is an in-depth look into the steps needed to transform modern-day data centers into sustainable entities. Currently busy with the final steps to get the forthcoming book ‘Data Center 2.0 – The Sustainable Data Center’ (ISBN 978-1499224689) published at the beginning of the summer. “A data center is a very peculiar and special place. It is the place where different worlds meet each other. A place where organizational (and individual) information needs and demands are translated in bits and bytes that are subsequently translated in electrons that are moved around the world. It is the place where the business, IT and energy world come together. Jointly they form a jigsaw puzzle of stakeholders with different and sometimes conflicting interests and objectives that are hard to manage and to control. Given the great potential of Information Technology to transform today’s society into one characterised by sustainability what is the position of data centers? The data center is the place were it all comes together: energy, IT and societal demands and needs. A sustainable data center should be environmentally viable, economically equitable, and socially bearable. To become sustainable, the data center industry must free itself from the shackles of 19th century based ideas and concepts of production. They are too simple for our 21th century world. The combination of service-dominant logic and cradle-to-cradle makes it possible to create a sustainability data center industry. The book takes a conceptual approach on the subject of data centers and sustainability. It offers at least multiple views and aspects on sustainable data centers to allow readers to gain a better understanding and provoke thoughts on how to create sustainable data centers. 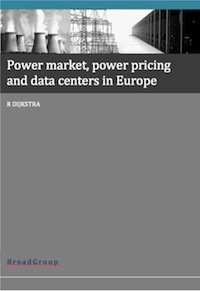 The book has already received endorsements of Paul-Francois Cattier Global Senior, Vice President Data Center of Schneider Electric and John Post, Managing Director of Foundation Green IT Amsterdam region. 13 IT Is Transforming Now! Last week at VMworld Barcelona not only attention was given to products and solutions across the three key layers of Infrastructure, Application Platform and End-user technology but also much attention was given to how to transform the traditional IT department to an IT department that is ready for the Cloud Era. With a specific conference track, ‘IT Transformation’, VMware paid tribute to the fact that on demand services based on automated and policy based provisioning and deployment will change the current operational model of IT. With the introduction of cloud computing we are witnessing the transition from an ‘artisan’ way of IT production to an industrial way of IT production. Handcrafted, dedicated IT infrastructure siloes will be converted into industrial made, commoditized and generic, horizontal IT infrastructural platforms. For this, a new operational model of IT is needed to make this transition possible. In several presentations VMware staff told that last year they had worked on an IT Transformation model that must support the customers to make this move. A 3 steps capability model was presented; starting with a traditional reactive IT organization, according to VMware the IT organization has to change to a proactive service broker and finally should get an position as an innovative strategic partner for the business. To make this happen four worktracks or swimming lanes were defined. The first one is for the well known Technology and Architecture activities to answer the question which technology should be used to build a Software defined infrastructure. The other ones are about answering the question “How do I operate in this new world”. Thus talking and taking action on processes & control and people, culture & organization and IT Business management. VMware anounced that their view on how to transform IT will soon be supported by improved or new products for automated provisioning and deployment and the monitoring of capacities, qualities and costs of IT services. 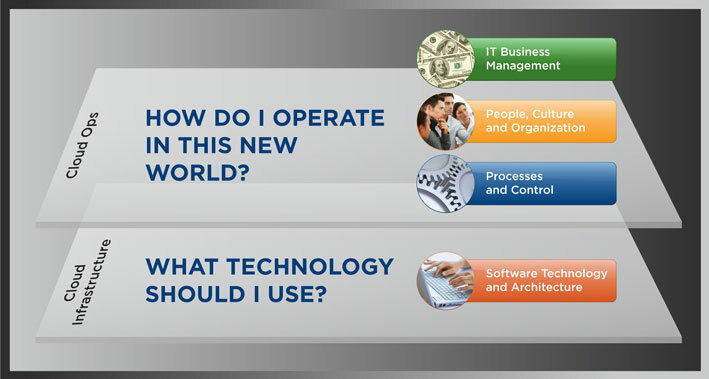 Also new consulting services, education offerings and certifications about IT Transformation can be expected. VMware made it very clear that the only way you can be succesful in the new Cloud Era is by transforming your current IT organization. Only paying attention to technology is a dead end street. This change will require a lot of effort. Besides the technology costs the organizational transition costs of cloud computing is something that should not be forgotten. Along with greater computing capability, businesses have increased demand for storing digital data, both in terms of amount and duration due to new and existing applications and to regulations. In order to be able to retrieve and transport the corresponding exponentially rising amount of data, the data transfers both in the (wired) Internet and wireless networks have been rising at the same speed. Data centers have become the back bone of the digital economy. They represent major investments for their owners and they also cost a huge amount to run and maintain them. They deserve to be well cared for. According to the Cisco report from 2000 to 2008 the Internet was dominated by peer-to-peer file sharing traffic. This traffic didn’t touch a datacenter. From 2008 most of the Internet traffic has originated or terminated in a datacenter. It is estimated that the global datacenter IP traffic will increase fourfold over the next 5 years with a compound annual growth rate (CAGR) of 33 percent during the period 2011 – 2015. During this period the ratio between DC-to-User / DC-to-DC / Internal-DC data traffic will be more or less the same. For 2015 the ratio is estimated on 17%/7%/76%. According to Oracle’s second ‘Next Generation Data Centre Index’ report businesses are reacting to this data tsunami with a short term increase in outsourced data centre and cloud service use, while planning longer term to build their own in-house data centre facilities. Sustainability is also back on the agenda for 2012 as “businesses react either out of a need for a demonstrable green policy for governance reasons, or to reduce spiraling energy bills related to their IT use”. The proportion of data centre managers who see a copy of the energy bill has risen from 43.2 percent to 52.2 percent. More than one third (36 percent) of data centre managers still have no visibility of energy usage, while almost 10 percent of respondents also doubt that anyone else sees a copy of the bill for data centre energy usage. Virtualisation of IT hardware is gathering pace in the data centre but remains patchy with only 12 percent of respondents having virtualised more than 70 percent of their IT estate,38 percent have virtualised less than 30 percent. Worryingly, almost 39 percent still admit to second guessing future workload requirements. However, the proportion that use advanced analytics or predictions based on historical usage has increased from 39 percent to 50 percent. 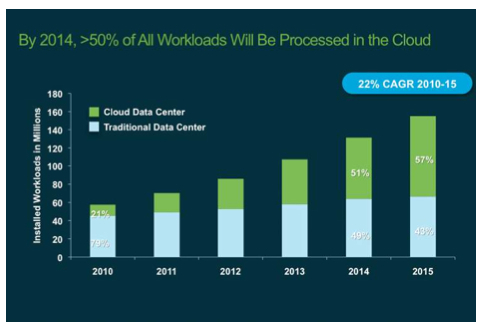 Combining the outcome of the two reports you can certainly questioning how well the datacenters are prepared for the Zettabyte Data Wave that is coming. One of the most significant challenges for the IT organisation was and is to coherently manage the quality attributes performance, availability, confidentiality and integrity for the complete IT service stack. Energy usage as a quality attribute is a relative new kid on the block. This ‘Housing’ or site infrastructure attribute is composed of the power, cooling and floor space sub attributes. These attributes are not independent of each other. They form a hidden threshold or hidden ceiling. 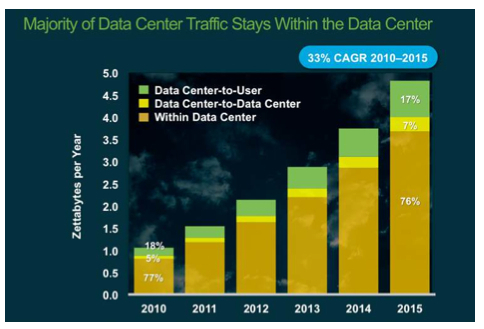 Remember that 76% of the Zettabyte Data Wave will be internal datacenter traffic. To anticipate on this coming Zettabyte Data Wave you must manage your datacenter IT infrastructure AND site infrastructure in a coherent and consistent way. What does this Zettabyte Data Wave means for your datacenter in terms of processing power, storage and network capacity? What is the impact on the power consumption and the cooling capacity? Do you have an appropriate datacenter architecture? And do you have appropriate tools (DCIM software) for integral datacenter management so that you don’t hit that hidden ceiling by surprise? Precisely a year a go we launched the book Greening IT in print and online (free to download). And if I may say so, the book is still worth the effort of reading. The book aims at promoting awareness of the potential of Greening IT, such as Smart Grid, Cloud Computing, Thin Clients and Greening Supply Chains. The chapter “Why Green IT is Hard – An Economic Perspective” is my contribution to this book. See Greening IT and read the following press release. Information Technology holds a great potential in making society greener. Information Technology will, if we use it wisely, lead the way to resource efficiency, energy savings and greenhouse gas emission reductions – taking us to the Low-Carbon Society. “The IT sector itself, responsible for 2% of global greenhouse gas emissions, can get greener by focusing on energy efficiency and better technologies – we call this Green IT. Yet, IT also has the potential to reduce the remaining 98% of emissions from other sectors of the economy – by optimising resource use and saving energy etc. We call this the process of Greening IT. IT can provide the technological fixes we need to reduce a large amount of greenhouse gas emissions from other sectors of society and obtain a rapid stabilisation of global emissions. 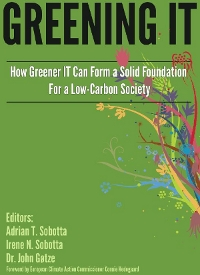 There is no other sector where the opportunities for greenhouse gas emission reductions, through the services provided, holds such a potential as the IT industry”, says Adrian Sobotta, president of the Greening IT Initiative, Founding Editor and author of the book. The book aims at promoting awareness of the potential of Greening IT, such as Smart Grid, Cloud Computing and thin clients. It is the result of an internationally collaborative, non-profit making, Creative Commons-licensed effort – to promote greening IT. “There is no single perfect solution; Green IT is not a silver bullet. But already today, we have a number of solutions ready to do their part of the work in greening society. And enough proven solutions and implementations for us to argue not only that IT has gone green, but also that IT is a potent enabler of greenhouse gas emission reductions”, says Adrian Sobotta. It is clear that the messages in the book put a lot of faith into technologies. Yet, technologies will not stand alone in this immense task that lies before us. “Technology will take us only so far. Changing human behaviour and consumption patterns is the only real solution in the longer-term perspective”, continues Adrian Sobotta. IT may support this task, by confronting us with our real-time consumption – for instance through Smart Grid and Smart Meters – thereby forcing some of us to realise our impact. But technologies, such as Green Information Technologies, are not going to disperse themselves. Before betting on new technologies, we need to establish long-term security of investments. And the only way to do this is to have an agreed long-term set of policy decisions that create the right incentives to promote the development we need. A lot of people are pleased to use all kind of digital services any place, any where , any time but are not aware that to make this possible we are using vast data centers to provide this services. Creating awareness, sending the message around that we must manage this energy consumption properly is still an important job to do. A picture is worth a thousand words. To illustrate this saying ABB has prepared a very nice and readable infographic showing some of the major impacts and mitigating solutions of the power consumption of data centers. A five minute read and your are up to date. Lets have more of these kind of infographics to get the message around.